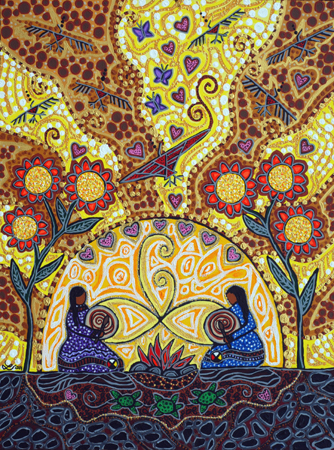 Leah Marie Dorion is a Metis interdisciplinary artist raised in Prince Albert, Saskatchewan. 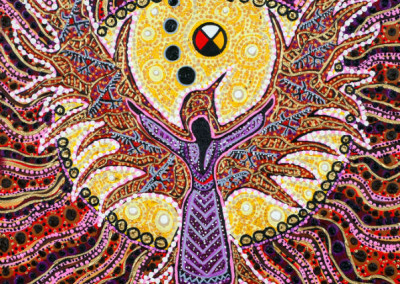 She is a self-taught visual artist and credits her creative family for inspiring her to take up painting and the traditional Metis arts. 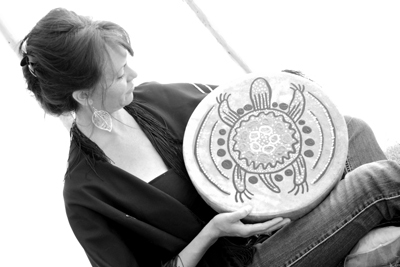 Leah is also a teacher, published author, and storyteller. 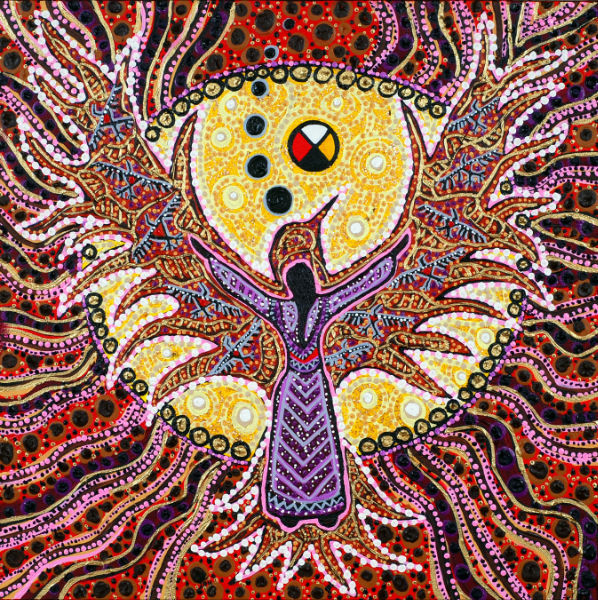 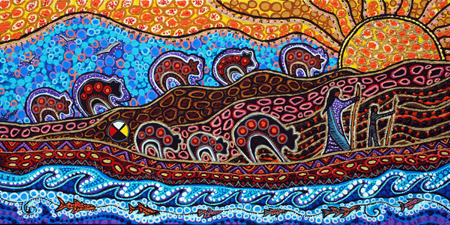 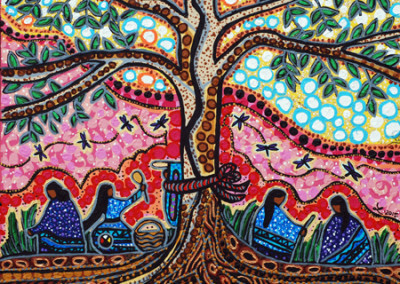 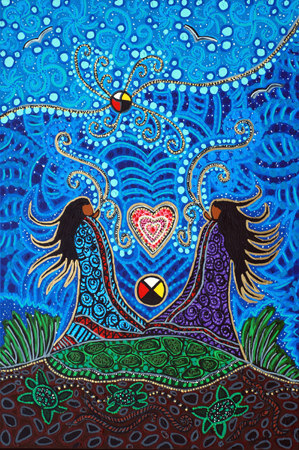 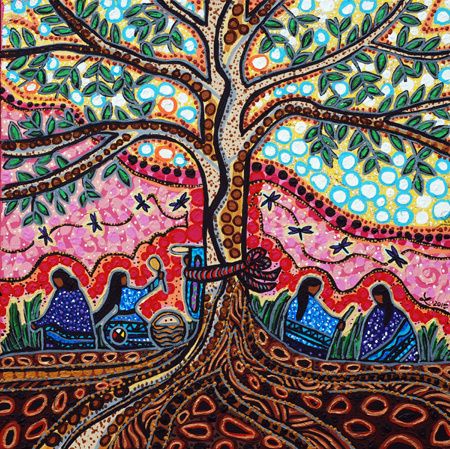 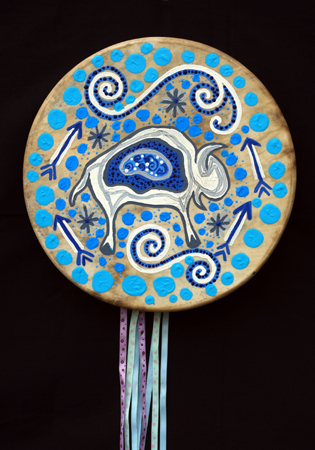 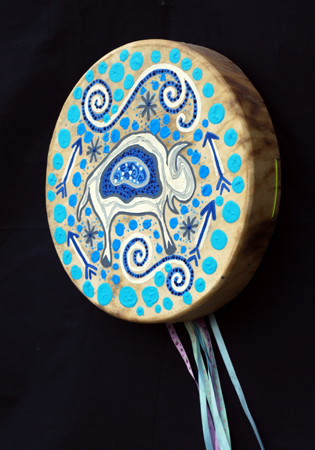 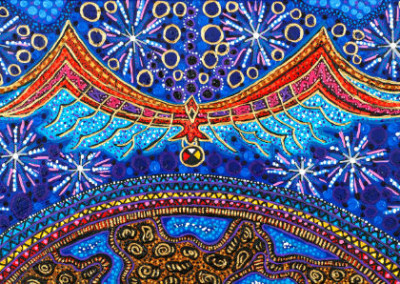 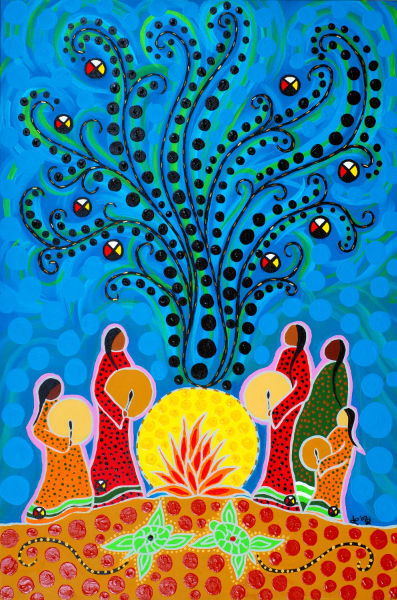 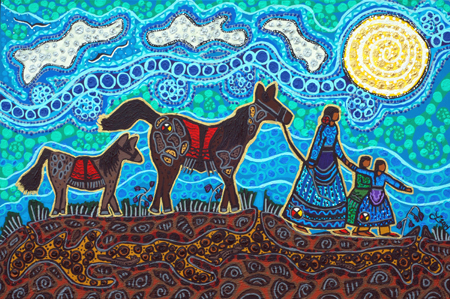 Her art pays homage to women, earth based spirituality, and the Indigenous knowledge.